Here’s a whole page of resources for you to sift through. If you have recommendations for things to add (or want your own resource featured here), email me! Hey! Listen! All links marked with an asterisk (*) are affiliate links. That means I can receive a small commission (at no cost to you) if you like it enough to buy! If you’re at the very beginning stages of starting your blog, the first things you’ll have to sort out are where you’ll host it, what platform you’re going to use, and what you want it to look like. I’ve flip flopped between hosts over the years, looking for one that wasn’t a mess. Some charged too much, others had a lot of downtime where my site wouldn’t be accessible. I finally found SiteGround* and I haven’t had to worry a day since! Plans start from only $3.95 a month if you click the link above (they do special deals for referrals, we love a supportive host)! I recommend WordPress to everyone I know with no reservations. It’s been absolutely fantastic for me thus far, and it’s super easy to integrate with your hosting provider — often it asks during signup if you’ll be using WordPress, and it sets up WordPress for you! What could be easier than that? I feel like WP has a greater selection of themes made for it, and there are more plugin options than you’ll ever be able to search through. Plus, it’s pretty easy to use once you’ve been tinkering around for a minute. Note: I am specifically talking about WordPress.org, not WordPress.com. They are completely different entities… but if you’re looking for a free option, WordPress.com can be a good choice for ya! I take my blog’s appearance very seriously. I want it to be clean and easy to read, but still fun and not too sterile. Professional but not pretentious. Maybe my standards are too high, who’s to say. But I’ve found a whole handful of themes that I love. ThemeForest* is hands down the best place to find new themes, in my opinion. I find a lot of other sites have a couple that they’ve designed, but TF is open to whomever has something they want to share… so there are thousands to choose from. I’m currently using a theme called TheBlogger* that took a weight off my shoulders the minute I downloaded it. It looks so good and has so many options to make it feel more like You, but it doesn’t require hours & hours to get it set up the way you want. Here are a couple of other themes I’ve used (and loved) in the past! It’s so worth taking time to scroll through and play around with the live demos. It’s fun, and there are a billion different types of themes to choose from! 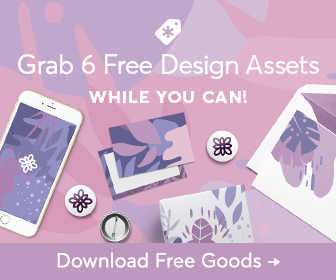 Creative Market* is one of my all time fave places to find design assets. From stock photos and themes to cool fonts and WordPress plugins, you can find literally whatever you need to make your blog become your dream site. I also like them for upgrading other documents, like resumes. When you decide to start a blog, a lot of people want everything to be perfect before they start. They delay launching because they feel like it’s not ready. But really, all you need (besides the basic framework) is a name & a logo! Logojoy is awesome for this. You can enter your blog name & pick a few other logos/symbols that you like, and it’ll create options for you! Then you can pick one you like and change up the colours, adjust the layout, etc. After that, you can download for free… or choose the paid option and get a folder full of graphics for social media too! It’s a great option for just starting out, and it’s actually where we got our original logo for At The Barricade! If you’re looking for a free option, may I suggest Canva’s Logo Maker? From the day I started my blog, Canva became my saving grace. Any of my fancier blog graphics or YouTube thumbnails were definitely made through their site. They now have a special section just for making logos and it’s honestly fantastic for whatever your project may be. There are SO MANY OPTIONS, it makes my head start to spin. Alex Tooby is an Instagram marketing genius and her Infamous To Influential* program is what dreams are made of. No matter what you’re using Instagram for, her course is going to help you take your IG game up a notch. It’s an investment, but totally worth it. If that’s out of your budget, her Hashtag Hero* & Success By Story* courses are a great kickstart to your account as well! And you can always start with her free Instagram Authority course to dip your toes in… she’s literally a genius. – Amazon’s Vinyl Store* is honestly a lifesaver. Prices are always decent (or sometimes shockingly low), I’m constantly finding things I didn’t know existed, and they have a specific page for colour vinyl. PERFECT. – Urban Outfitters is constantly putting out exclusive pressings. Every time I go to order something simple like a pair of shorts, I’m shocked to see my basket at $500. Then I remember how I add records and then sigh, exiting the browser. Don’t live like this. – MerchNow is very niche. They only have records from bands they distribute merch for, but holy smokes the vinyl section scrolls on for HOURS. And a ton of the records are like… $5. I am not joking. I’m going to end up discovering a billion new bands just from ordering super cheap vinyl from their site.